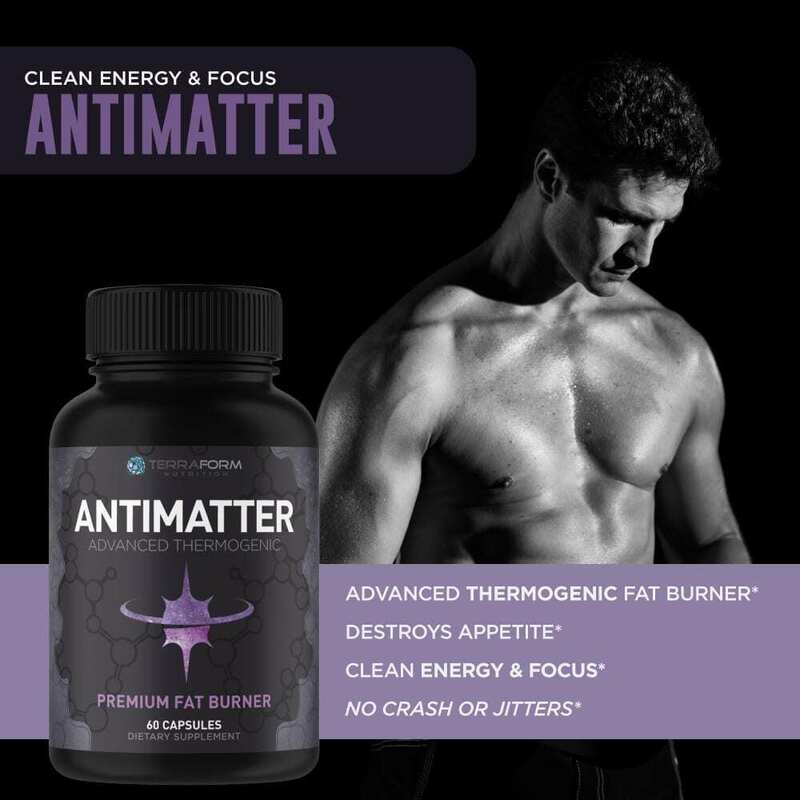 ADVANCED THERMOGENIC BURNS BODY FAT – Antimatter is an advanced formulation helping you burn the fat you struggle to lose*. 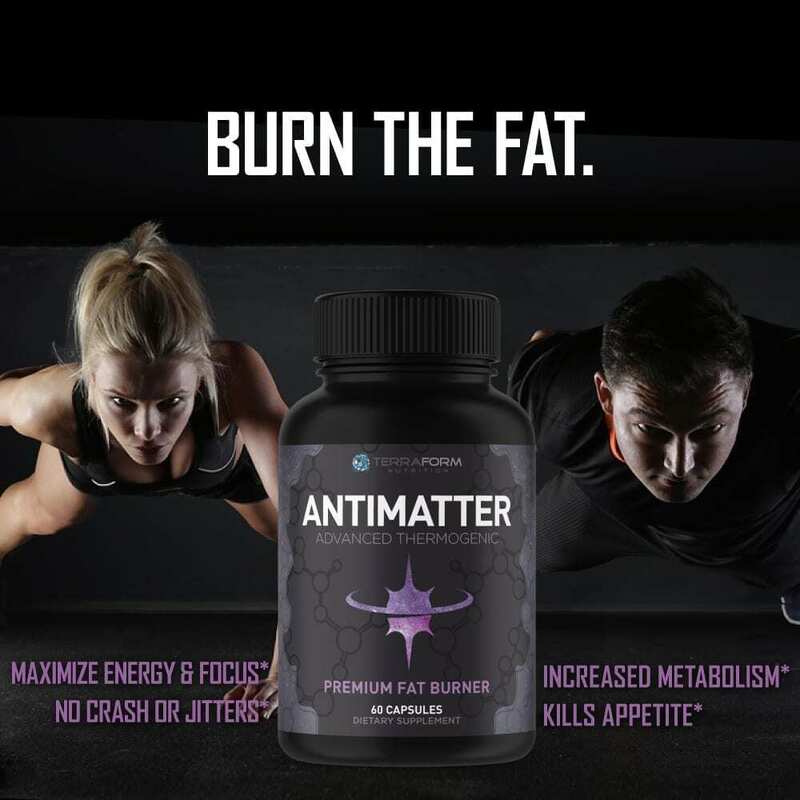 By increasing energy, helping preserve muscle, suppressing your appetite and boosting your metabolism, Antimatter makes losing weight that much easier! Struggling to get the ambition to burn off the day’s calories after work? Long hours, all the driving, working at a desk all day or in meetings, and then having to try and find time afterwards to get to the gym can be exhausting. Then you grab the extra coffee to keep up, but the added sugars and cream only add to the problem. We know the feeling, which is what led us to find a solution that can help you too. 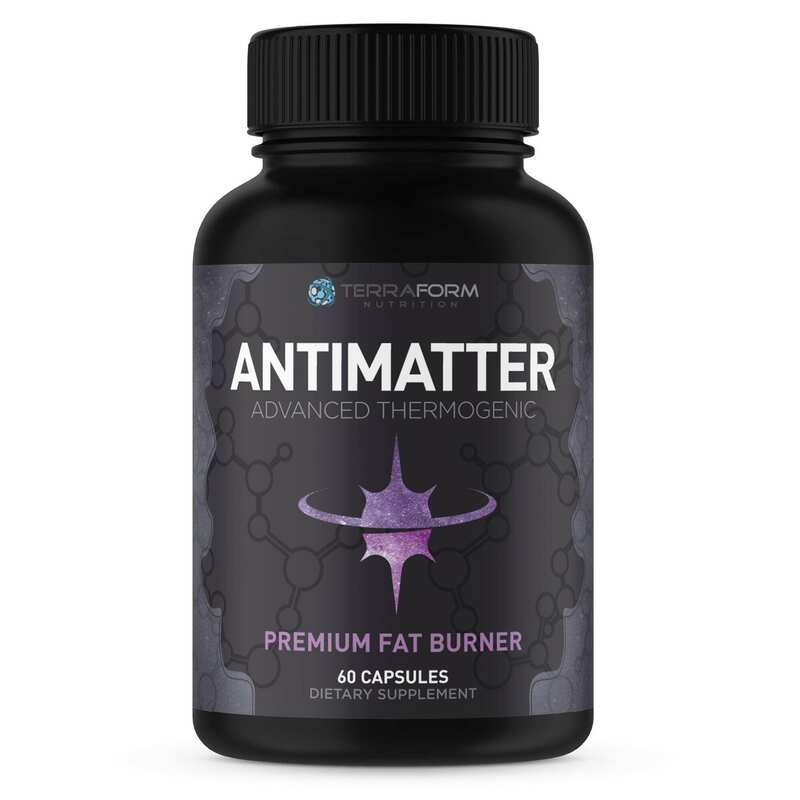 That led us down a road to finding the best possible formula for an advanced thermogenic that would give us a good clean energy boost, while burning off the unwanted fat*. 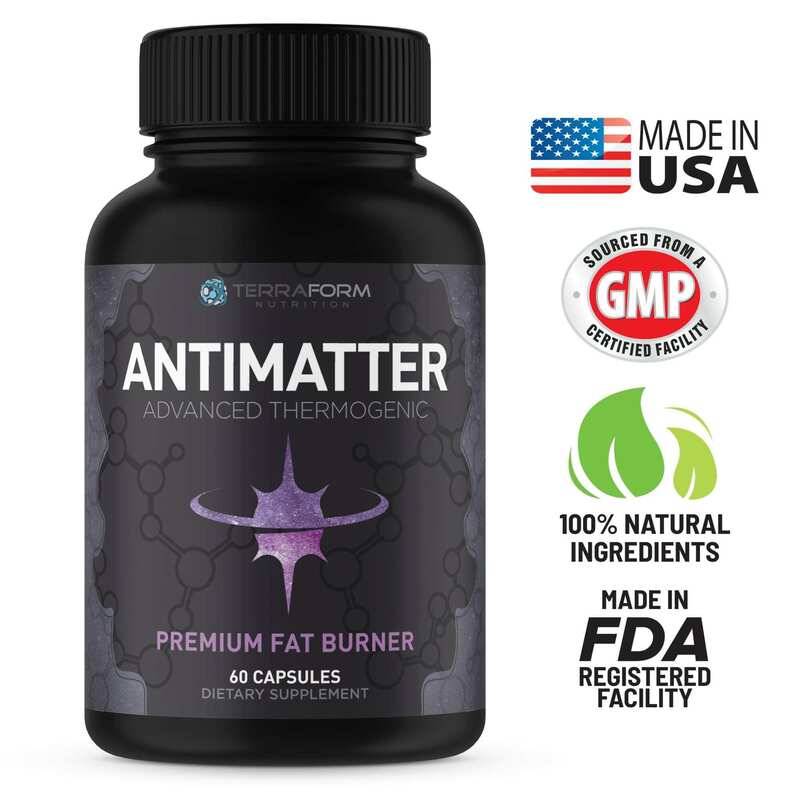 We found the most commonly used and effective natural ingredients that are used for weight loss, weight suppression, and energy; then combined them into the most scientifically advanced formula we could*. 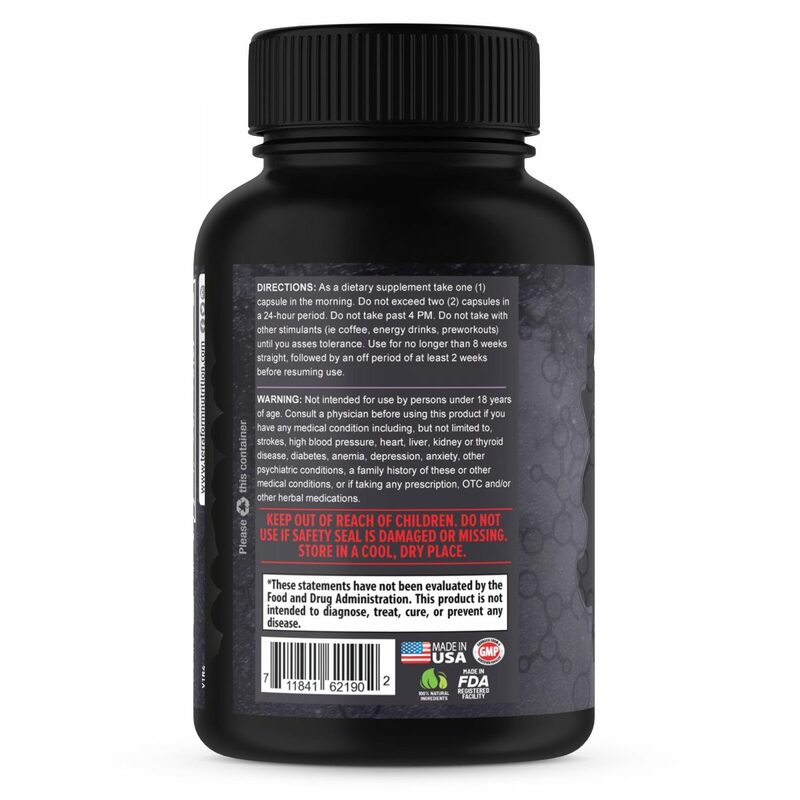 Our Advanced Fat Burner helps not only suppress your appetite, but provides you with an energy boost you can feel throughout the day. Green Tea Extract – Green tea extract is high in natural caffeine and catechins (an antioxidant) which helps to raise your metabolic rate, and assists in burning fat*. 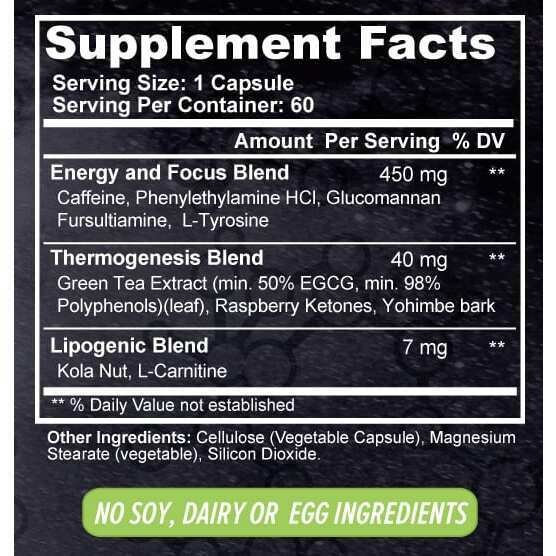 L-Tyrosine – A important amino acid that helps support most of what you want in a thermogenic. It boosts energy, metabolism and mood*. 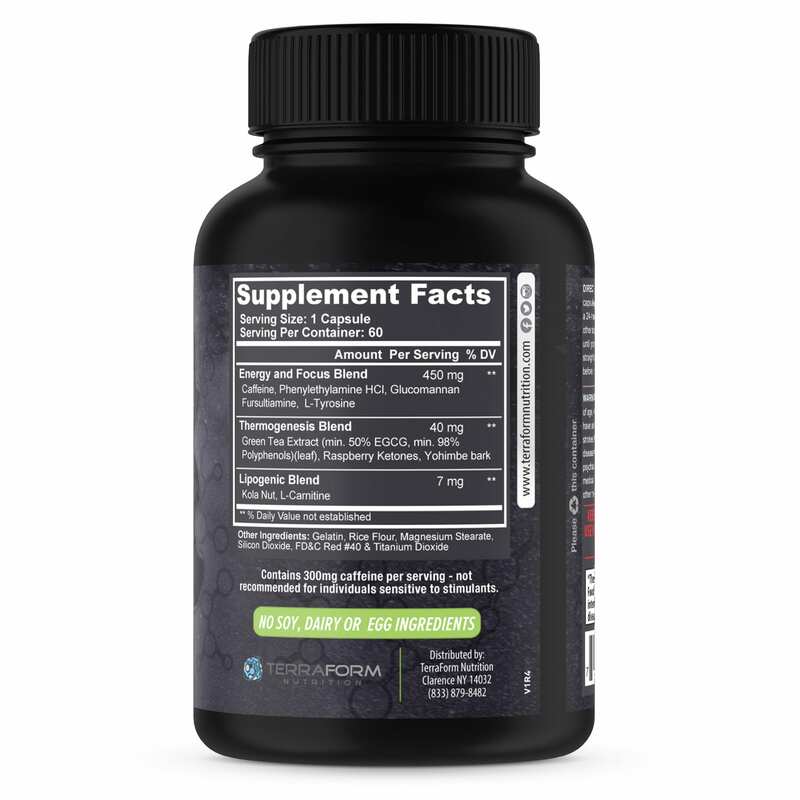 Raspberry Ketones – Ketones help boost metabolism, and help fat cells release a hormone called adiponectin, which plays a role in regulating metabolism and blood sugar levels*. Yohimbe Bark – Yohimbe Barks active ingredient is Yohimbine, which can block the alpha-2 adrenergic receptors located in fat cells which decreases body fat*.